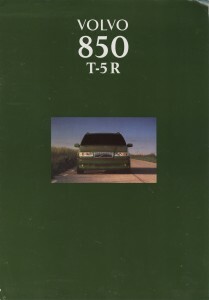 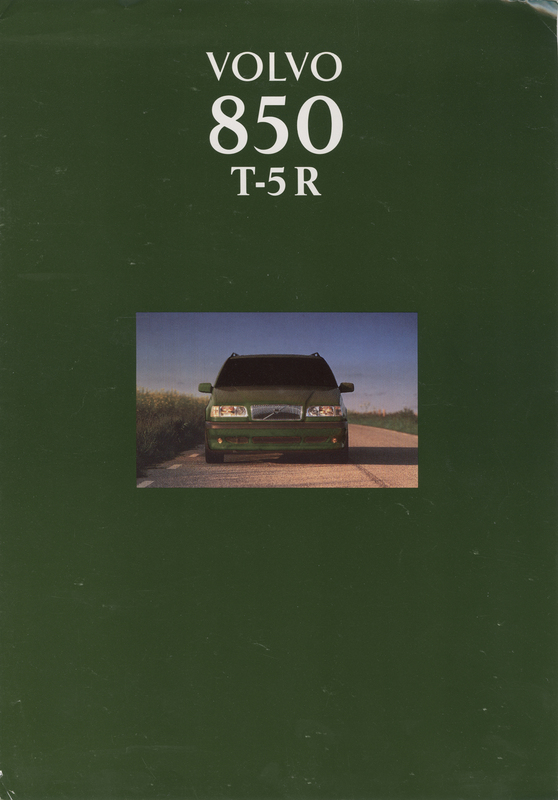 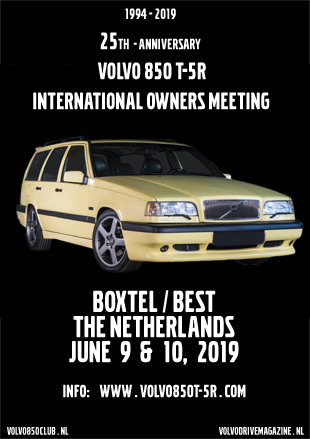 When the green T-5R’s became available Volvo Austria is, as far as known, the only organisation who issues a folder specific for this new color. 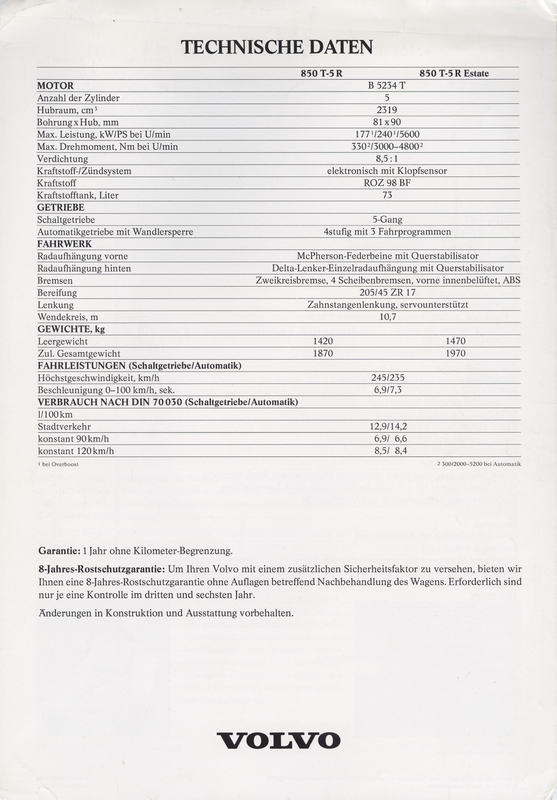 The producer didn’t create a new folder though. 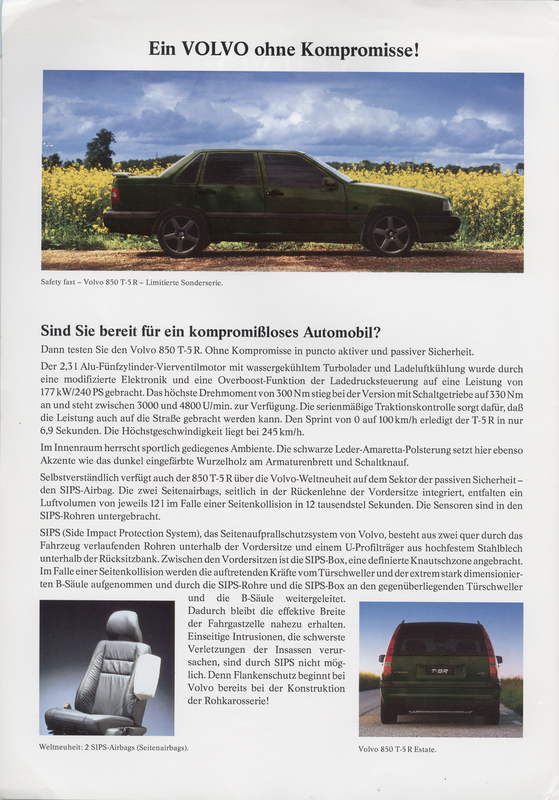 They used the text and images in the former folder, but just changed the color of the cars on the images. Also in this issue the roofrails come as an option now. 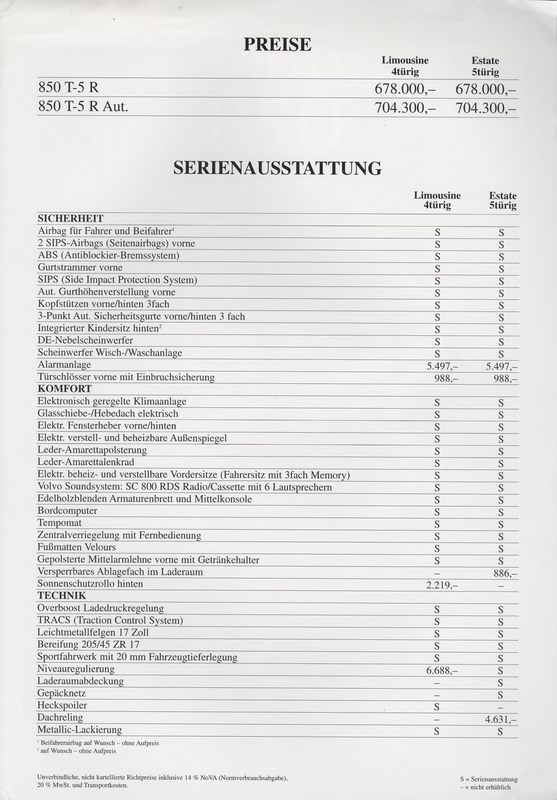 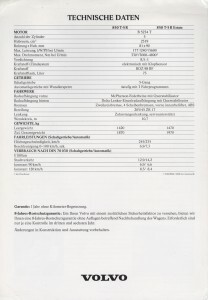 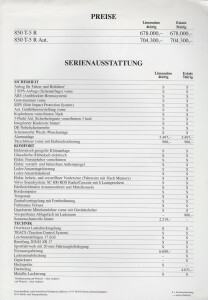 In the Austrian folders one can see that the childrens seat and the passenger airbag also came as an option at no extra costs.